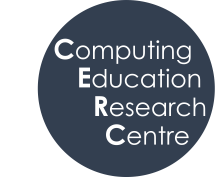 CERC is an interdisciplinary centre focused entirely on research within computer education, bringing together specialists in three different university departments. Its research will impact and inform computer science education in the UK and worldwide. This ambitious new venture addresses the need for more research in the broad area of computing, incorporating departments of education, informatics, digital humanities and business. The Centre’s official news release was published by King’s College London on 21/02/2018. The news release can be found here .